This stunning bangle from Gracee is both glamorous and contemporary, finished in a brushed matte silver with a push-to-open mechanism for easy wearing. Gracee Jewellery is a team of classic fashion lovers who believe that unique trendy design can combine with classic fashion. That’s why Gracee Jewellery aim to bring unique but with classic touching design to our exclusive collections. Their innovative designs always bring a diverse range of quality materials, including semi-precious stones, fresh water pearls, suede, crystals and glass. Birthday Gifts, Gracee Jewellery, Gift Ideas, Gifts £0 To £20, Bangles, New Arrivals. 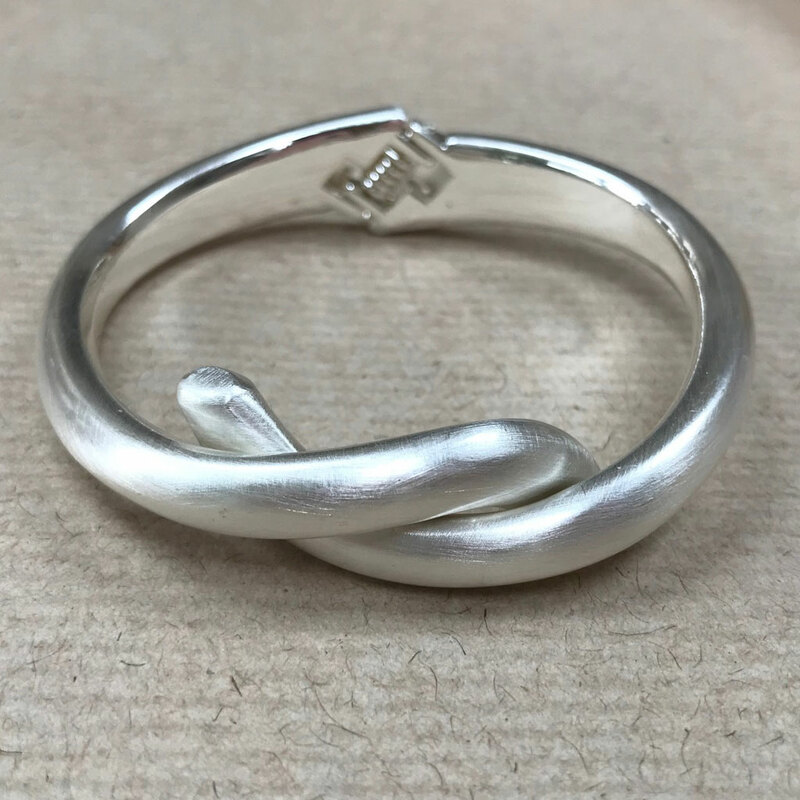 An apple for the teacher…….Joma Jewellery a little Thank You Teacher silver plated apple on silver bead Bracelet. 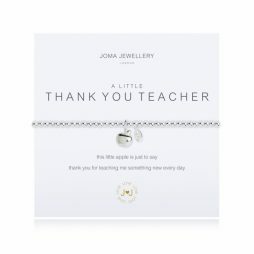 What a lovely way to say thank you to a very special teacher, this sweet Joma Jewellery a little Thank You Teacher Silver Bracelet with the words ‘ this little apple is just to say thank you for teaching me something new every day’. This beautiful bracelet features Joma’s brand new apple charm on a stretchy small silver plated bead bracelet – great gift for the end of term or for school leavers. 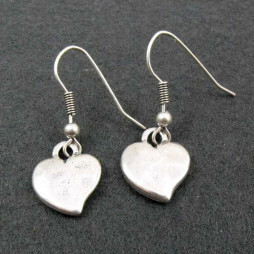 Beautiful small silver Danon heart drop earrings, perfect gifts for brides, bridesmaids as well as to be worn everyday. 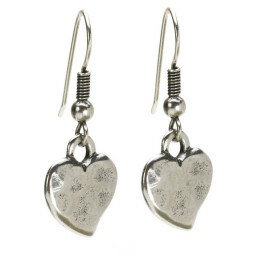 Your Danon Silver Heart Earrings will be presented in our official Danon Jewellery gift packaging for the prefect gift. Fantastic shopping experience. A beautiful Katie Loxton bag I’ve struggled to get hold of. Nicola proved what customer service really should be in helping me adjust my order delivery to get it to me for a birthday! It was very kind of you to ring me. I will be recommending this site to others and most definitely using again myself! Thank you. A kind gesture goes a long way these days!